The time you have been waiting for has arrived. What was once your dream home on paper will be completed and ready for you to move in. 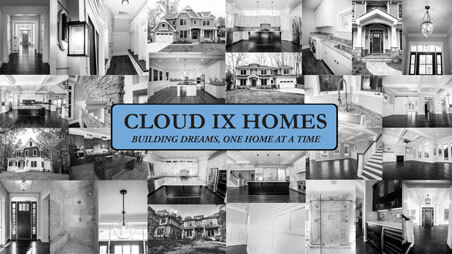 Having exceeded your expectations every step of the way, the months of exciting collaboration will result in a meticulously crafted custom Cloud IX Home you can be proud of and that meets your budget, needs, and lifestyle. Undoubtedly, what started as a business relationship will continue as a friendship. We hope that you will always feel welcome to call on us, as well as refer us to your family and friends.